Originally built in 1965 as a student dormitory, Hendricks Hall now houses the Jiann-Ping Hsu College of Public Health. 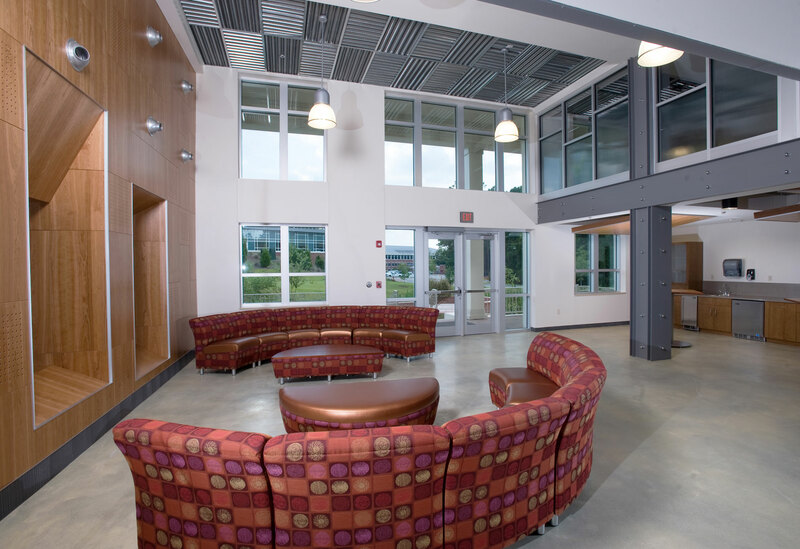 On the main floor are the Center for Rural Health, Center for Survey Research and Health Information, Center for Addiction Recovery, and the Karl E. Peace Center for Biostatistics as well as several seminar rooms. 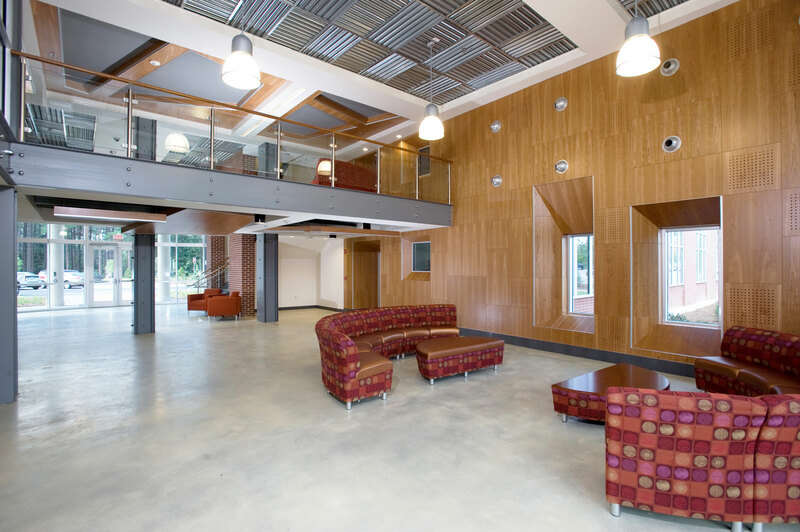 The second floor provides space for faculty offices and support areas. 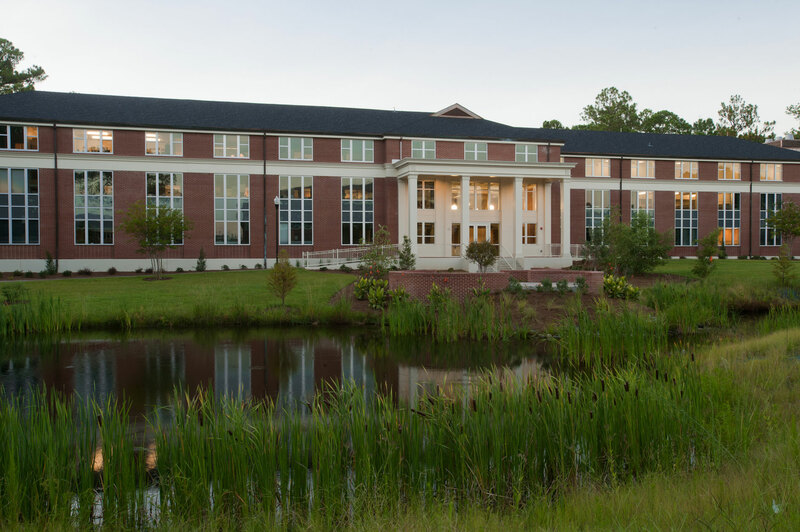 The third floor houses the administrative suite, a large lecture hall, instructional labs and a laboratory suite for environmental health and epidemiology research. (Biological Safety Levels 1, 2 and 3). The existing building was comprised of two long offset wings – intersecting at a central core with the entry oriented toward a newly constructed lagoon. 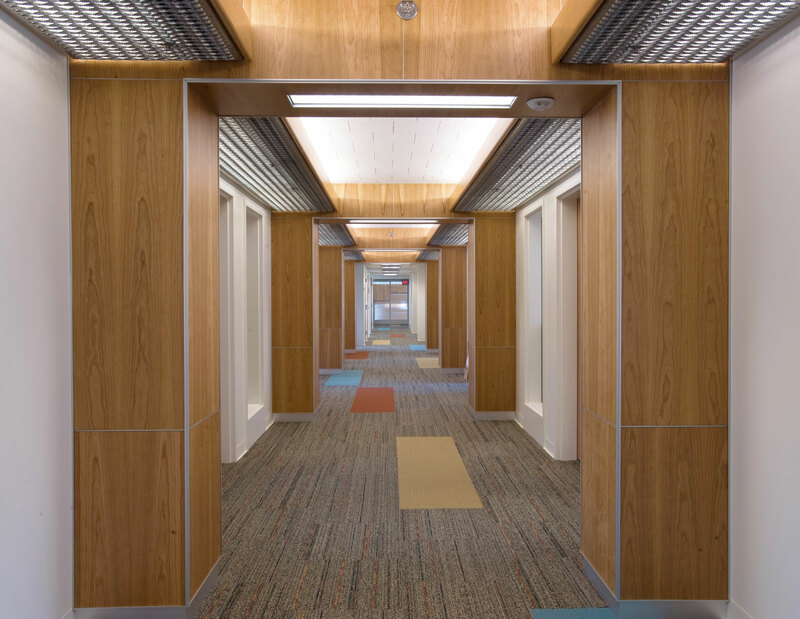 The core has been converted into an expansive glass-clad two-story atrium housing an elevator and monumental stair as well as student gathering spaces. Hendricks Hall received a 2011 Innovation Award for Design and Technology at the University System of Georgia’s 17th Annual Facilities Officers Conference. 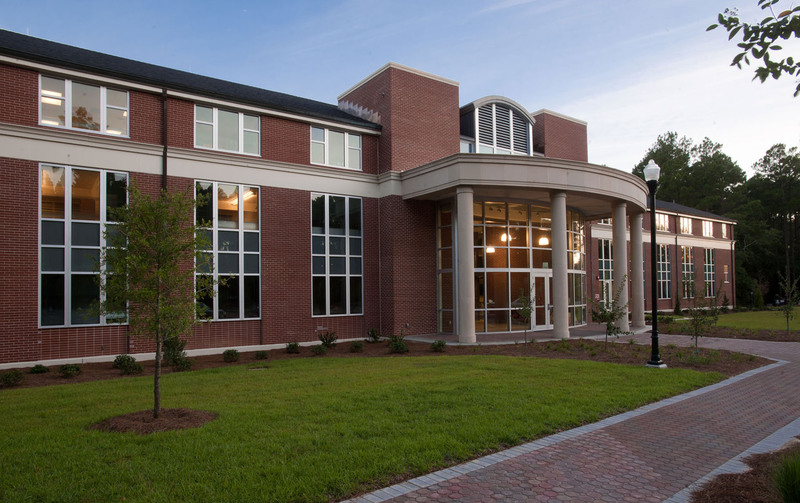 It also received the First-Place Award in the 2011 Build Georgia Awards Program.